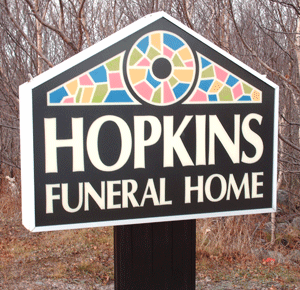 Hopkins Funeral Homes exists to help you deal with the death of a loved one. We believe every life, whether lived quietly or larger than life itself, should be uniquely honored. We offer two facilities for your convenience, one in Old Perlican on the Main Road, Route 80, and one on the Main Road, Route 70, Northern Bay. 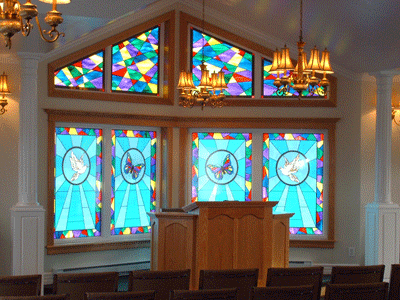 Both facilities are fully operational, with the Old Perlican facility also offering a beautiful large chapel, the first of it's kind in the Trinity-Conception area. Hopkins Monument Service are a dealer for two Monument Companies, ensuring you'll receive the greatest variety of monument shapes, styles, finishes and the highest quality granite on the market today, all at very competitive rates. On this web site you will find a listing of our recent and current obituaries, a guestbook to allow relatives and friends outside the area to pay their respects, information on making a donation in memoriam, some links to our local flower shop, local ammenities and useful Government Programs, information to assist you through the grief journey and how you can reach us.